How to Find a Drug Rehab for Valium Abuse? How does valium abuse occur? According to the World Health Organization, Valium is an essential medication in helping people deal with numerous physical or psychological problems, such as anxiety disorders, muscle spasms, seizures, and insomnia. However, because Valium is also highly addictive, the WHO advises caution in prescribing and taking the drug. Only that, with more than two billion tablets sold each year, it can be safe to say that a large number of users are abusing the drug. As a long-acting benzodiazepine, Valium stays longer in the body than other similar substances. When patients respect the doctor’s advice and take the recommended dosage, Valium is an effective drug that can help them deal with a variety of problems. But, because of the intense effect it has on the brain, Valium also has a high potential for addiction. Our brain deals with external stimuli every second of the day. More often than not, we don’t comprehend the complexity of this function until something goes wrong. In most cases, overstimulation manifests itself as a migraine or stress. However, for patients that have a GABA deficiency, the symptoms may include depression, anxiety, and more. Valium stimulates the brain to secrete more GABA, a neurotransmitter that plays a vital role in regulating the brain activity. Because it has a quick response and can help people manage their anxiety, panic attacks or any stressful situation effectively, users tend to abuse the drug and take more than they should just to be able to live a normal life. Other factors contribute to a person’s chances of becoming addicted to Valium as well, such as their biology, environment, and age. The greater the number of risk factors, the higher the chances of developing an addiction. A person with a family history of drug abuse, for example, has a better chance of becoming addicted than one that has lived in a safe and normal environment. What Are the Health Risks and Dangers of Long-Term Use of Valium? While Valium is a popular prescription drug, it can also have many dangerous side effects if it is abused or misused. Long-term, heavy Valium abuse has been shown to have serious effects on the body and brain. Depression, aggressive behaviors, cognitive deficits, and psychotic episodes may become lasting health effects of Valium abuse. Patients may be under the impression that by increasing the dose, they are managing their condition better, but in reality, abuse is only creating more problems than before. Over time, users develop a tolerance to Valium, and their bodies need more to get the same effects as before. Because the withdrawal symptoms of Valium detox are intense, patients cannot undergo this process without medical supervision. At an inpatient rehab center for Valium addiction, a team of professionals will assess the patient’s medical and psychological condition before drafting a treatment plan. Based on this report, doctors will decide whether they need to administer any anti-seizure, anti-anxiety or anticonvulsant medication to reduce the intensity of the withdrawal symptoms. In addition to medication, an inpatient facility will also provide a variety of addiction treatment therapy programs to address the underlying cause that led to addiction in the first place. The therapist works together with the patient to help him identify any dangerous patterns and develop strategies that would help him avoid future temptations. While an inpatient program is the best chance at rehabilitation, outpatient ones can be just as effective if the Valium addiction isn’t that severe. That is the best option for users who are at the early stages of the addiction and want to resolve this issue before it spirals out of control. 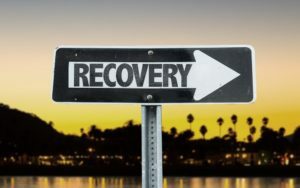 What Are the Treatment Medications That Can Help Me in Recovery? The best way to recover from Valium addiction is to reduce the dose gradually to prevent any intense withdrawal symptoms or seizures. Of course, this process must happen under the strict supervision of doctors in a rehab facility. In some cases, doctors may decide to use an antidote, such as antidepressants or non-benzodiazepine hypnotics to counteract the toxic effects of Valium abuse. However, because you don’t want to replace one addiction with another, these drugs must be administered under strict medical supervision and monitored carefully. How Can I Help a Loved One During Their Time in Rehab? As someone with a loved one in rehab for valium abuse, the first and most important thing you have to realize and accept is that you are also part of the equation and need just as much help as them. While you will not be the one undergoing treatment, it’s important that you also take care of yourself. You cannot help anyone if you are not in good condition to do so. Try to educate yourself about the illness your loved one is going through, understand what it entails, and participate in the training and education sessions in the facility. Once you’ve made sure you have enough knowledge about the condition, it’s time to have an open discussion with your loved one, and start giving them the moral support they need. Make sure you make them feel accepted and refrain from any judgment – it will help them gain enough trust to open up to you. No one denies the important role Valium plays in helping people with anxiety disorders, insomnia or other psychological conditions and manage their illness. If you follow your doctor’s recommendations and take the drug under strict medical supervision, then there’s nothing to worry about. But, if you are having a difficult time controlling your urges and if you find yourself in the criteria of valium abuse, then it’s time to ask for help and stop this behavior before it turns into a dangerous problem. At Windward Way, we understand how scary addiction can be for family or for those experiencing it. If you or a loved one is addicted to Valium® and needs help, at Windward Way we have a solution for you. Valium (Diazepam) is a benzodiazepine-class drug similar to Xanax® or Ativan®. Valium has also become an often-abused prescription medication. A rehab for Valium at Windward Way can bring a firm footing back into your life without the need for habit-forming prescription medications. You can find the answers you’re seeking now: 855-491-7694. Through both our prescription rehab and also our addiction treatment program we aspire to give hope and direction, not only for the clients we assist, but also for the families, friends and loved ones affected by the addiction. Since Valium withdrawal may be potentially life threatening, our clinically supervised, knowledgeable intake staff will determine whether a Valium detox is appropriate as a first step for you. Throughout each stage of our admissions process you’ll enjoy knowing that we bring zero judgment to whatever your issue might be, but only accurate, up-to-date information to rediscover the life you want to regain. Call us now. 855-491-7694.